The Employers Confederation of the Philippines (ECOP) conducted a series of orientation-workshops on EU GSP+ in Iloilo, Baguio, and Pampanga. For the workshop in Iloilo held last October 16, 2018, ECOP partnered the Philippine Chamber of Commerce and Industry – Iloilo Chapter (PCCI Iloilo) under the leadership of Atty. Jobert Penaflorida while on the workshop in Pampanga held last October 29, 2018, ECOP partnered with PHILEXPORT Pampanga led by Ms. Marilou Balano, PHILEXPORT Pampanga Executive Director. In total, around 100 business owners and managers were able to join the said orientation-workshops. The workshop is intended to raise awareness among MSMEs and their suppliers on GSP+ and develop tools to facilitate their compliance to general labour standards (GLS), occupational safety and health standards (OSHS) and other pertinent international frameworks. The series is part of a project which ECOP is jointly implementing with the Internationl Labour Organization (ILO). Ms. Verna Viajar, ILO National Project Manager – Freedom of Association and Collective Bargaining, gave an overview of the importance of social dialogue, what the ILO does on the international, regional, and national levels and what constitutes the international labour standards (ILS). Ms. Nenette Fernando, ECOP Project Consultant, discussed GSP+, its nature, prospects, and challenges in the Philippines. Her presentation focused on the programs conducted by the Department of Trade and Industry (DTI) to support EU GSP+ such as the Export Pathways Program and the Small and Medium Enterprise Roving Academy (SMERA). Also highlighted in her presentation is EU’s Registered Exporters System (REX System) which is a system of certification of origin of goods that applies in the Generalized System of Preference (GSP) of the European Union since 1 January 2017. It is based on the principle of self-certification. For the public initiatives undertaken to promote GSP+ and compliance, Department of Labour and Employment (DOLE) regional office representatives discussed the Occupational Safety and Health (OSH), General Labour Standards (GLS), and other pertinent issuances of DOLE, which included DO 18-A and DO 174-17. The participants were oriented on employer-employee relationship, monetary and other benefits given to employees, termination of employment, among others. During the workshop proper, Ms. Fernando also presented several questions for the exporters regarding their current concerns relating EU GSP+, the support of assistance they would need as MSMEs, and policies or programs they can suggest in availing the GSP+. One of the challenges that the participants have experienced includes the numerous requirements they are asked to comply with and tediousness of the process one must undergo to accomplish each of these. They also expressed how difficult it is for MSMEs to get certifications from the Food and Drug Administration (FDA). The participants also noted that there needs to be a specialized set of requirements for MSMEs as opposed to having the same requirements that are meant for larger enterprises. Despite DTI’s attempt to provide services and programs to micro enterprises, not everyone can be accommodated. Other suggestions include big-brother small-brother schemes for medium enterprises, training on packaging and image making, networking and linkages, a socialized scheme on the policies of FDA, and the grouping of MSMEs to be able to strengthen their chances of being able to comply with the requirements. 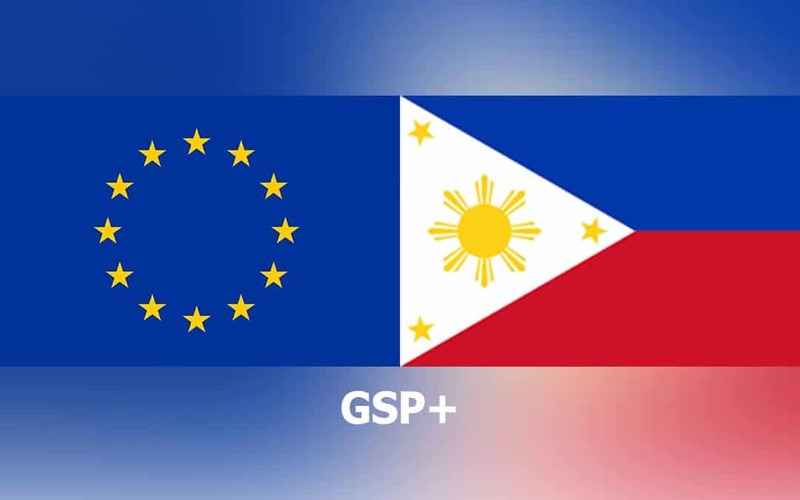 The next orientation-workshop on EU GSP+ will be on November 29, 2018 in Marco Polo, Davao City. To know more about the project and the schedule of orientation-workshops, interested participants may contact Virginia Angela Usero, ECOP External Affairs Coordinator, at angelausero.ecop@gmail.com. She may also be contacted through her mobile no. at +63 917 677 2415.